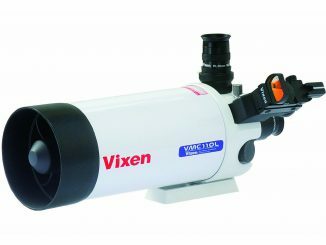 It is hard to believe that almost 16 years have elapsed since Celestron’s venerable NexStar series burst upon the astronomy scene with a 127mm (five-inch) Schmidt-Cassegrain (SCT) mounted on a radically designed single-arm GOTO mount. Now, a decade and a half later, the lineage continues with the NexStar Evolution — the world’s first SCT with fully integrated WiFi control, seeking to define a new benchmark for GOTO telescopes. 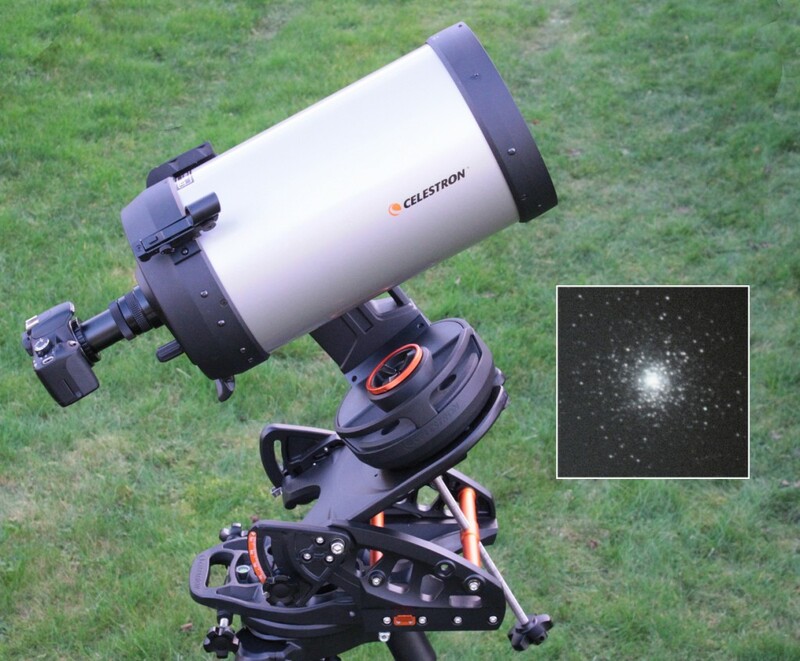 The Evolution range comprises three Fastar-compatible SCT models of 150mm (6-inch), 200mm (8-inch) and 235mm (9.25-inch) apertures with StarBright XLT optical coatings at f/10. 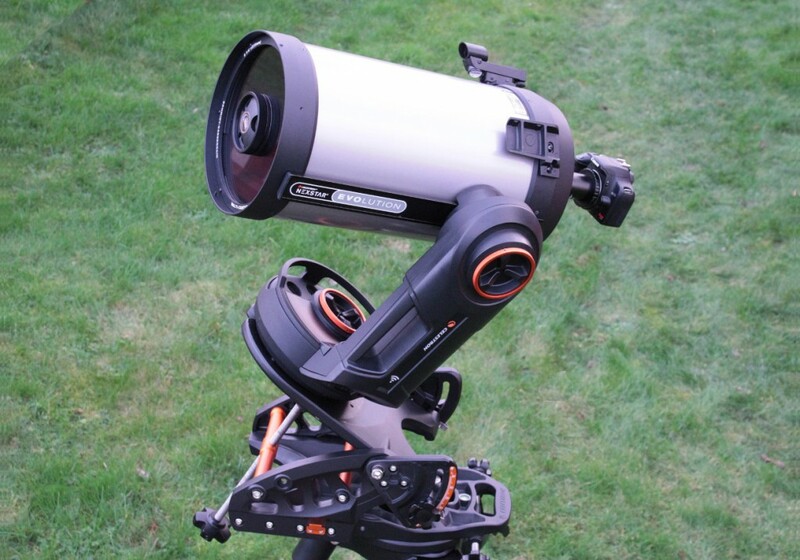 A new single-arm fork mount is controlled wirelessly via Celestron’s free SkyPortal app for Android and iOS devices. If you do not have a smartphone or tablet, you can still drive the instrument with the supplied upgradeable NexStar+ hand controller. The mount has an internal rechargeable lithium-ion battery for cable-free use and sports a USB charge port for your phone or tablet. Four auxiliary ports accommodate Celestron accessories such as StarSense AutoAlign or SkySync GPS, while ergonomically-positioned carry handles and large altitude-azimuth axis clutch knobs permit easy operation, even with gloved hands. 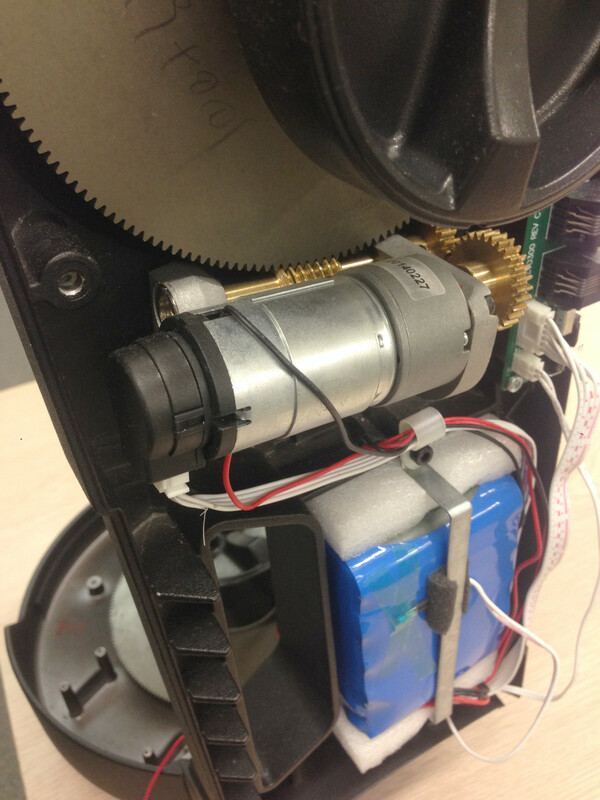 Supplied in two substantial boxes, the total weight of the 9.25-inch aperture instrument is around 46.6 lbs (21.1 kg). First-time assembly of the heavy-duty stainless steel tripod and attaching the pre-assembled mount and optical tube assembly (OTA) is a ten-minute operation. A profusely illustrated and well-written 26-page manual offers a comprehensive guide to the instrument’s assembly and subsequent use. My only issue with the otherwise superb tripod of the Evolution 9.25 is that it’s not always easy to position the fork mount’s base over the centre pin of the tripod head in the dark (the 6- and 8-inch Evolutions have a tripod with a different head design). It was often more convenient to leave the mount attached to the tripod, removing the OTA whilst carrying the assembled mount outside or in. I foresee a market for a third-party product similar to the Landing Pad Starizona developed for NexStar GPS owners soon after the millennium. 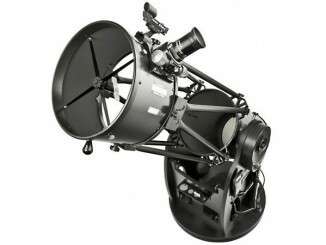 Like any other GOTO telescope, the NexStar Evolution needs to be aligned before it can find objects in the sky. How it achieves this is what makes this range of telescopes unique and extremely intuitive to use. Assuming that you have a smartphone or tablet running Android 4.0 or iOS 7.0 (and later), you need to install the free SkyPortal app from Google Play or the App Store. The mount creates a SkyQLink wireless network that you select in the WiFi settings of the smart device before launching SkyPortal. 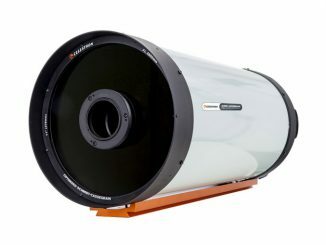 Developed in conjunction with the team behind the SkySafari app (which also works with the Evolution), Celestron’s SkyPortal is a visually polished and easy to use planetarium program with integrated telescope control containing a database of over 120,000 objects, including 220 of the best deep-sky and Solar System targets. Once connected, on-screen arrows permit you to move the telescope up, down, left and right at a rate determined by an on-screen slider. 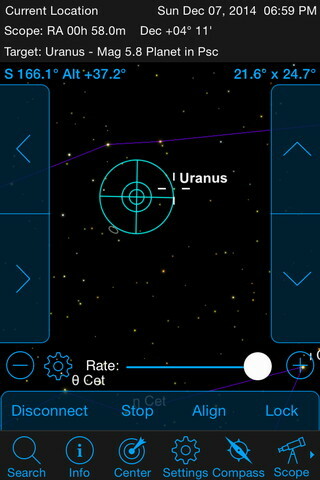 In tests with my iPhone 4, I was able to connect to and control the Evolution 9.25 from up to 25 metres away. It has to be said that the best SkyPortal experience is provided by a tablet where the additional screen area leads to a greater appreciation of the superb graphics and the extensive menus seem less cluttered. That said, the software is still totally usable on a smartphone. Assuming you have previously attached and aligned the supplied StarPointer red dot finder with the main ‘scope during the day and chosen the low power 40mm eyepiece, the default SkyAlign procedure simply asks you to select, in turn, any three stars in the sky, first aligning them in the StarPointer before fine centring in the eyepiece. (Tip: for best results, always finish alignments in the same direction that the tube moves at the end of a GoTo; up and right.) 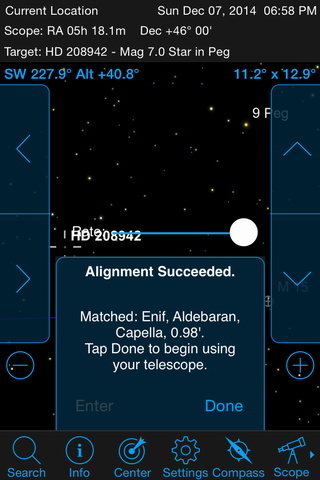 Since SkyPortal already knows the date, time and location from your ‘phone or tablet, the app calculates (and displays) which stars you chose and the alignment procedure is complete. This process works consistently and reliably. 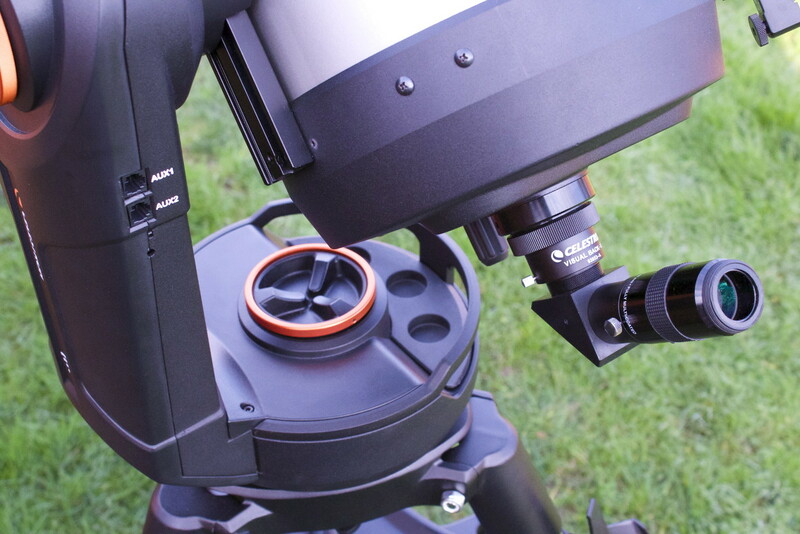 SkyPortal also supports manual 3-Star Align and Solar System Align, plus the alignment procedure incorporates advanced mount modelling, determining the characteristics of your mount and providing better pointing accuracy as a result. I found that with precise centring of widely-spaced alignment stars, every object I commanded the telescope to go to was well within 0.2 degrees of the centre of the field of view — even the rising Moon, showing that horizontal parallax, is taken into account! You will undoubtedly see more objects per night with an Evolution compared to a conventional GOTO ‘scope. Why? Because when you can see that an unexpected deep-sky object, double star or minor planet lies close to where the ‘scope is currently pointing on SkyPortal‘s digital star map, it’s tempting to take a detour and look at it — so you invariably see new things in addition the ones you were planning to. I found this scenario played out time and again while I was using the Evolution 9.25: exploring a region of sky in depth in a way that I simply wouldn’t do with a conventional two-line alphanumeric LCD hand controller. The Evolution mount has 146mm diameter, 180-tooth aluminium worm wheels and brass worm gears on both axes, giving it superior tracking capabilities compared to spur gear models such as the NexStar SE (although the latter is quieter when slewing). Mounted on a Celestron Pro HD wedge, I measured the peak-to-peak periodic error of the telescope’s polar/azimuth axis to be just under 30 arcseconds. For wedge-mounted astrophotography it’s advisable to use the NexStar+ hand controller since it has built-in All-Star Polar Alignment and periodic error correction (PEC) routines. 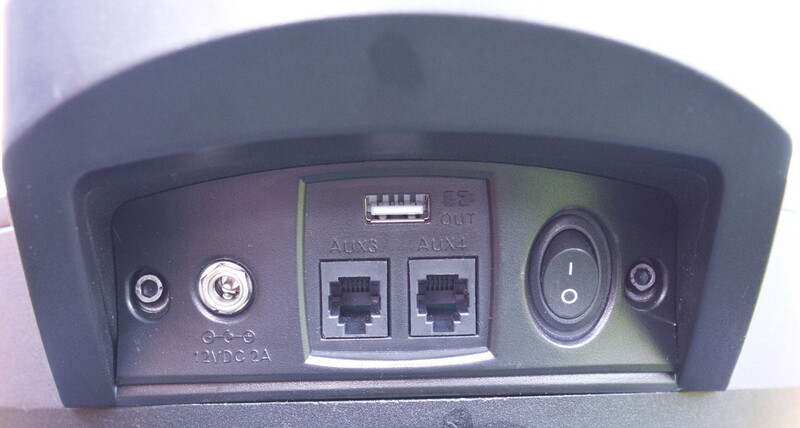 Curiously, despite having four auxiliary ports built into the mount, the Evolution series does not have an autoguide port. However, autoguiding can be achieved via WiFi by integrating the ASCOM-compatible autoguiding software of your choice, the ASCOM driver for Celestron ‘scopes, Celestron’s NexRemote and SkyQLink PC software. Settings for sidereal, lunar and solar tracking rates, slew rates, anti-backlash settings for either axis, slew limits, hibernation, battery status, tray & logo lighting levels and more can all be configured wirelessly from within SkyPortal. My tests revealed about five arcminutes of play in both axes (easily remedied by the software backlash settings) and vibration damping time is about three seconds with the tripod mid-height. Without a wedge, the average eyepiece height range is 105–145cm (41–57 inches). The mounting clamp for the OTA’s Vixen-style dovetail bar is robust and reassuringly positive. However, no single-arm fork can match the stability of a dual-tine design, but you have the distinct advantage of using alternative OTAs should you wish to. The mount’s maximum slew speed is around four degrees per second and the internal rechargeable battery outlasted long observing sessions, even when deliberately slewing all over the sky, often in bitingly cold conditions. The 9.25-inch optical tube is widely regarded as something of a jewel in the crown of Celestron’s Schmidt-Cassegrain range. Its primary mirror has a larger focal ratio than other models, so the secondary magnification factor is less, resulting in a flatter field which is a distinct advantage for imaging. Now that the majority of SCT production has moved to the Far East (only 14-inch Schmidt-Cassegrain and Edge HD OTAs, plus some 11-inch Edge HD and CPC DX models are now made in Torrance), modern computerised production methods result in remarkably consistent, precision optics. The optical quality of the review telescope was as good as I have seen in any SCT, delivering essentially identical, zone-free, intra- and extra-focal images that were brighter and more contrasty than I recall from my ‘benchmark’ Ultima 9.25 several years ago, but that may be partly due to the improved StarBright XLT coatings. Primary mirror shift when changing focus direction was negligible, indicating extremely precise tolerances on the baffle tube focusing mechanism. Rigel in Orion was stunning in the Evolution 9.25’s 13mm eyepiece (180x) and multi-coated 1¼-inch prism diagonal, the star displaying a tight Airy disc in moments of good seeing with no spurious rays, while its companion star was plainly visible. Glorious double star Castor in Gemini revealed pure white pinpoint ‘car headlights’, while Almach (γ Andromedae) was faithfully rendered in amber and topaz components. A waning gibbous Moon revealed so much high-contrast, crisp detail on the terminator that I had to resort to much higher magnification eyepieces to clearly discern it. 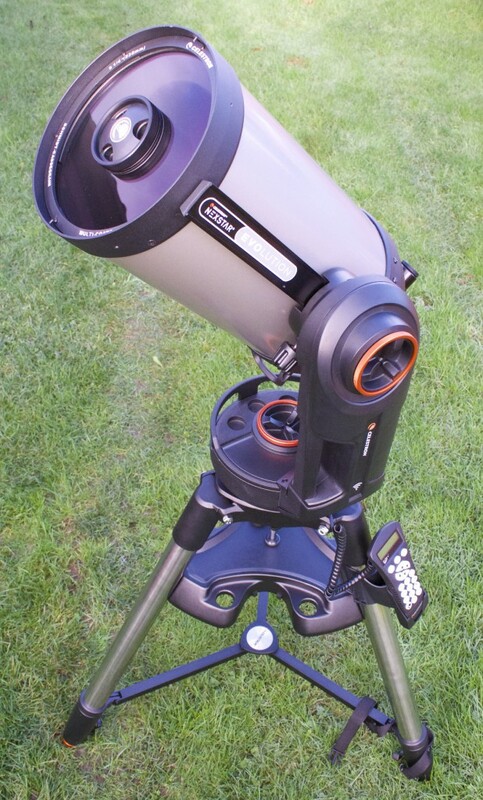 The Evolution 9.25 is a superb all-round ‘scope, equally at home on the Moon and planets as the deep sky. While the cynical may regard a fully WiFi-enabled instrument as a gimmick pandering to the iPad and smartphone generation, I wholly disagree: this product is the vanguard of a better way to interact with our GOTO ‘scopes. WiFi telescope control by digital planetarium software is not new, but the Evolution’s tightly integrated hardware and software with a comprehensive suite of features is a world away from the bolt-on feel of competing technologies. The product’s name is apposite, for this new range from Celestron does represent an evolutionary step away from outdated LCD display hand controllers to a powerful multimedia ‘phone or tablet interface that most observers will find intuitive and easy to use, making observing time more productive and enjoyable. It seems Celestron has an outright winner on its hands.